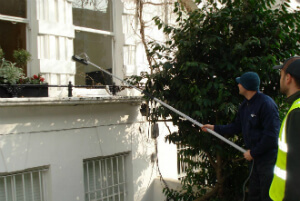 Commercial & Domestic Window Cleaners W Hammersmith and Fulham | Quality Property Care Ltd.
Do not miss the chance to finally get rid of the long-lasting and dangerous residential or domestic expert cleaning job. Rely on our professional window cleaning company! We would certainly be happy to help you. Get in touch with our kind and helpful customer support associates via this phone number 020 3746 4287 and get all the information you need today! Attention: our service is 100% streak-free and eco-friendly! No matter your home windows, the enthusiastic window cleaners in Hammersmith and Fulham W will clean them to brilliance! Dear clients, Quality Property Care Ltd. company totally ensure you that your property or home is under safety. The crew we send to you is composed of insured and well-trained window cleaners. They are devoted, motivated and diligent. You are not even required to stay in the home during window cleaning in Hammersmith and Fulham W. All you have to do is to keep us some parking space, so the helpful technicians can park the van with the water fed pole system. In case of any omission, we cover the damages or re-do the treatment for free! Your final consumer satisfaction is guaranteed. For the cleaning Quality Property Care Ltd. experts use plain water from the tap, it passes through several filters situated inside the van, they strip the h2o from its miners and other chemical molecules, making it pure. This 100 % pure water does not respond with the filth on your window but strips it away gently and without damaging neither the glass nor the sill or frames. It is ideal for the leaning of all window kinds, it does not leave a chaos aside from a puddle and it is odour free. Conservatories and conservatory rooftops as well. Feel totally free to reserve our budget-friendly and eco-friendly window cleaning service now! We are out there on 020 3746 4287! Find a free quotation now or use the primary online booking form for instant booking!